In the event of the failure of Front-Line Training Consultancy Limited to deliver the contracted course or service, the following systems have been developed to protect student interests. Where possible, on behalf of each student who wishes to continue studying, negotiate a course place with another training provider who is offering the same or similar training. Every student enrolled in a course of study or training course (being a course of three months or more) shall be entitled to withdraw from it anytime within the seven days after the first day of the course for which attendance of the student is required and Refunds shall be made to every student who so withdraws, without deduction, of so much of any payment, or the sum of any payments, made by the student to the establishment in respect of that course and if the withdrawal from the course also constitutes withdrawal from the establishment as a whole, in respect of the enrolment at the establishment, as exceeds $500.00 or ten percent of the amount of that payment or of the sum of those payments, whichever is lesser. When a course is cancelled by Front-Line Training Consultancy prior to the start a FULL REFUND of fees in made automatically. a) Held in a Trust Account (Section 236A of the Education Act 1989) with Front-Line’s solicitors Cruickshank Pryde. Fees are held in trust should a refund be required. Refund policy applies as above and is covered under the Education Amendment Act 1994 Section 27.
b) If the student withdraws from the course within 7 days from the first day for which the student was expected to attend the persons shall pay the amount held to the student. c) If the withdrawal is outside 7 days – the person shall pay the amount to the establishment or hold it for the establishment’s creditors. It is Front-Line’s policy to ensure all student claims have a high priority along with other creditors. The value of the expired portion of the courses would have priority over other claims and at least students will receive a partial refund of fees for any undelivered tuition. We will make a full and prompt refund for cancellations received five working days prior to the course. It is regretted that no refunds can be made for cancellations received after this time. However, a substitute delegate is always welcome. The organisers reserve the right to make any amendments that they deem to be in the best interest of the course. If a booking has been made and you do not attend nor cancel the course, booking and administration fees will be charged. To maintain a sufficient cost buffer to ensure a minimum of 20% of undelivered tuition fees be available. To have information available relating to insurance policies that is available to cover fees. To initiate discussions with other providers. Of the total amount of EFTS allocated to this institution the only deduction was the GST component, the remaining funding has been used for student fee reduction. 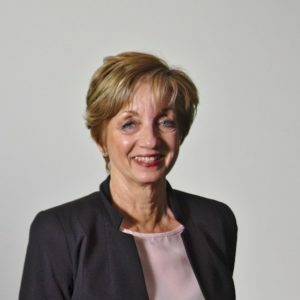 Pauline is Front-Line’s Owner and Managing Director whose vision of delivering quality education and employment services in a small personalised learning environment has been her passion for more than two decades. Coming from a background in tertiary teaching my goal of providing education that is positive and vibrant has been the key to outstanding success of our students and clients.